New author Allison Moon indulges the feminine wild by giving the classic werewolf myth a lesbian twist. Lexie Clarion's first night at college, she falls in with a pack of radical feminist werewolf hunters. The next morning, she falls for a mysterious woman who may be among the hunted. 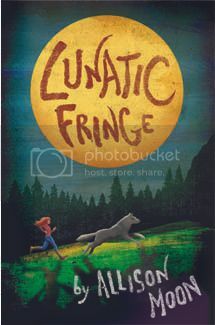 As Lexie's new lover and the Pack battle for Lexie's allegiance, the waxing moon illuminates old hatreds, new enemies, and a secret from Lexie's childhood that will change her life forever. I very much enjoyed this book. I am not usually into this kind of books but this book was very good. I thought it was a little slow at the beginning but as I kept reading on I was getting into this book and by the end I was glad I kept reading this book and not just toss it into my "I can't read this" pile. If you would like to purchase this book you can do so at Amazon, Barnes and Noble or IndieBound.